The Grand Cru’s polished teak gleams in the fall sunlight, and a gentle breeze stirs the American flag mounted on her stern. Once aboard, comfortable seating invites relaxation, with every comfort of home tucked into the cherry-paneled cabin. Sitting on this boat, built and furnished with meticulous attention to detail, the Lowcountry waterways look even more inviting — if that’s possible. Having worn out the old route from Hilton Head Island, where I grew up, to college in Charleston along S.C. 17, it was only a matter of time before I started taking detours. “Into the exit zone” I would call it — the deep, green South. In just a few years of taking this route, I saw the old South recede under the pressures of development. The highway expanded, displacing an old, painfully nostalgic Texaco station, and my search for the essence of what was left grew ever more urgent. Overgrown in kudzu, the barns would speak to me. Shrouded by oaks, the darker the road, the better. And it was on one of these countless forays that I chanced upon the bridge to nowhere. 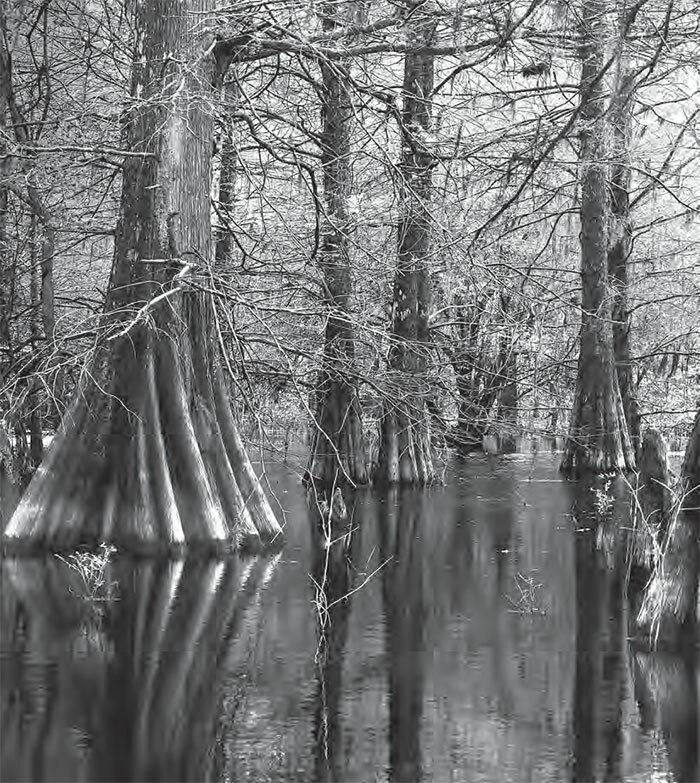 “Swamps settled South Carolina,” Todd Ballentine explained during an interview. The environmental consultant added: “It wasn’t cotton. 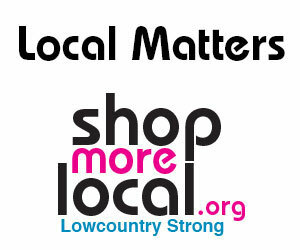 It was rice that first settled South Carolina.” And there would be no rice without swamps. Luckily, South Carolina is still home to prime freshwater wetlands and many traces of the heyday of rice cultivation. On Hilton Head Island, in fact, lies a clue in the heart of Sea Pines Forest Preserve. The Boggy Gut swamp was once used to cultivate rice using a method established by West African slaves with knowledge passed down from their ancestors. Hilton Head Island native Murray Christopher was surprised to learn that a piece of his family’s history had been hiding for decades in Civil War pension files preserved by the federal government. But now his ancestor, Samuel Christopher, who served in the U.S. 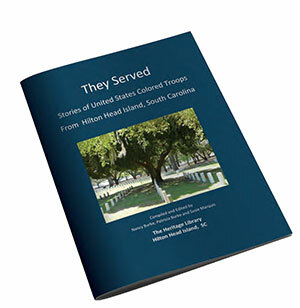 Colored Troop on Hilton Head Island during the Civil War, is receiving long overdue recognition for his service thanks to a new book from the Heritage Library. Plastic shopping bags, a popular convenience item, may soon no longer be available at your local grocery store. And for good reason: They are especially dangerous to coastal communities because they clog waterways, endanger sea creatures like birds, turtles and dolphins, and fill landfills and trash piles. That’s true for women and kids, too, and a group of longtime fishermen from Mt. Calvary Missionary Baptist Church is out to teach the skill to anyone who wants to learn. The next great idea in mobility could come from anywhere. That’s why tire manufacturer Michelin has joined forces with the Hilton Head Island Motoring Festival & Concours d’Elegance to offer a unique opportunity to students in Beaufort County. The Michelin Challenge Design is a competition that invites designers from around the world to share their ideas about the future of mobility. The program started 18 years ago and since 2001 has included entries from college students in 126 countries. THIS YEAR’S PINNACLE COLLECTOR, KEN GROSS, IS A WEALTH OF AUTOMOTIVE CONTRADICTIONS. 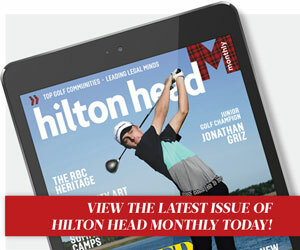 Established in 2013, the honor of being named Pinnacle Award Collector of the Hilton Head Island Motoring Festival & Concours d’Elegance has, as its name implies, traditionally gone to a collector. This year’s honoree, Ken Gross, is anything but traditional. Think of the longest road trip you ever took: trekking across country in the family truckster, forcing down whatever drive-through food you could forage as you rolled down the endless highway. Think of the mental fatigue of staring down the same white lines for hours on end, each stretch of highway blending into the next.